Welcome back to another Style Sunday Series. This is the fourth month Glamour Farms Boutique and I have collaborated on Style Sunday Series. 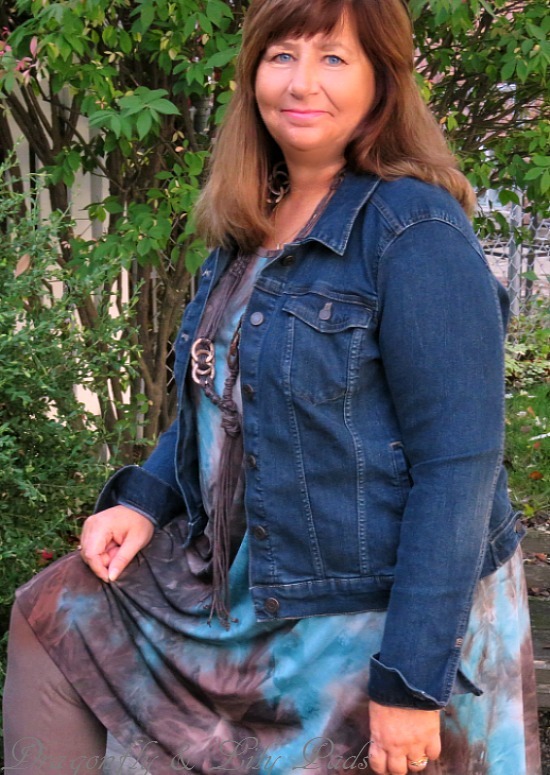 Today I am introducing you to the Carson 3/4 sleeve Waterfall Tunic/Dress in Teal. This comfortable flexible outfit is flattering no matter your size. I am wearing it with a pair of leggings, boots and necklace from my closet. 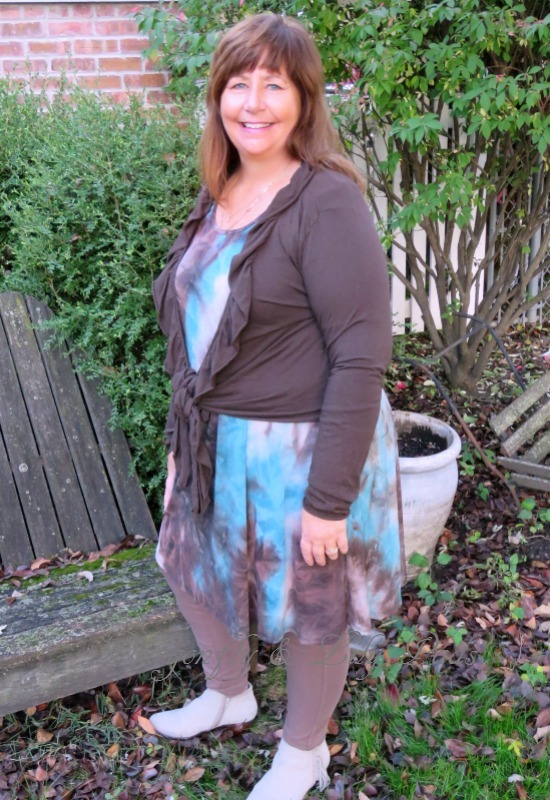 I thought this cute little ruffled brown t-shirt sweater works perfect with the tie dye fabric. Prince Charming(my husband and photographer) likes this look the best. 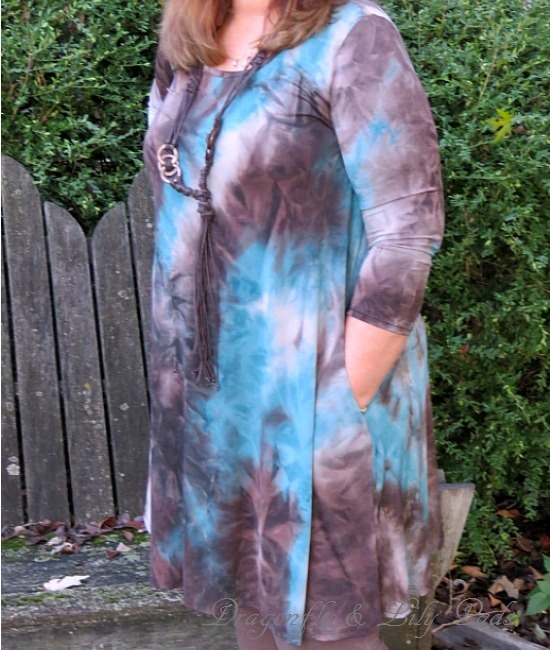 I love the fact that I am comfortable and stylish wearing my Carson Tunic/Dress in Waterfall Teal. The Style Sunday Series started because I love to feel pretty and want to share that side of me with you. Just because a I love to build, use power tools and most of the day is a sawdust mess, doesn't mean I don't like to be pretty, and feeling great the rest of the time. Since I am an affiliate Glamour Farms Boutique offers you a $10.00 discount on any regular prices$20.00 purchase. When you use this code D&LP397 on any purchase between 10/31/2016 and 12/04/2016/ I will receive a small percentage of the sale with no cost to you. Please note: I only become an affiliates with products which aline with my standards. Lets live our best life while creating a style that makes us feel our best.